Ten 13 DTLC Radio 070 - Romans 1:1 - "Paul..."
And with that single word introduction there is a wealth of information and perspective. 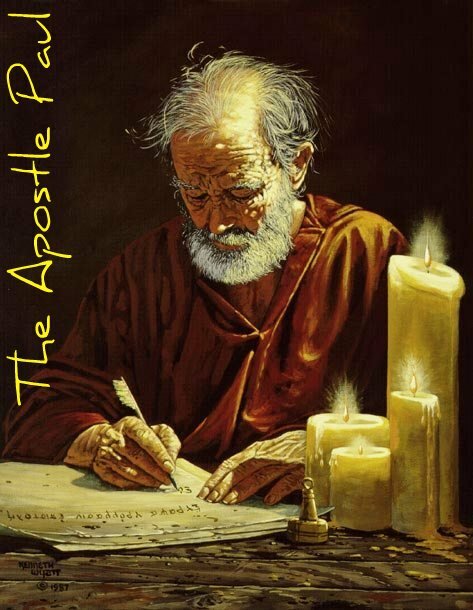 Understanding who the apostle Paul was is a huge benefit in understanding his writings. Not only is it profitable as background information but is more so for gaining necessary insight into the text. The Scripture is inspired by the Holy Spirit but He uses the experiences of the “human pen” to dictate the doctrine of grace. In this episode we discuss – in some detail – who Paul was. Who was he before his conversion, when he was known as Saul? With what zeal and passion did he attack his faith before coming to Christ? Is knowing this relevant to our understanding of Romans? These and other questions are addressed in this first podcast to dig into the text of Romans. Although we only discuss a single word – one person’s name – we can begin to understand Paul’s sense of urgency and passion for the Lord. Who he was and who he has been called to be are foundational to a complete acceptance of the truths in Romans. Saul of Tarsus had a zeal for Judaism and law-keeping that was second to none (Galatians 1:11-24; Philippians 3:3-11). His conversion experience and exposure to Christ and the gospel (Acts 9 & 26) changed him completely. Now known as Paul, he preached the gospel of Jesus (1 Corinthians 15:1-10) to Gentiles. That’s you and me. The message and blessings of the gospel had been offered to the whole world. And Paul would be the main voice of proclamation. Understanding Paul’s zeal for law-keeping and how it transferred to his gospel preaching helps us to see the miracle of re-birth. Paul’s zeal brings the urgency of the message into focus. His dedication and commitment reveal the awesomeness of the good news! Although we likely won’t spend equal time on every word or phrase, when it is important, we will. Paul’s introduction – Romans 1:1-7 – is very telling and as we move forward will provide a basis for our understanding. I hope you’re looking forward to our future study.